Staying hydrated is important for everyone. 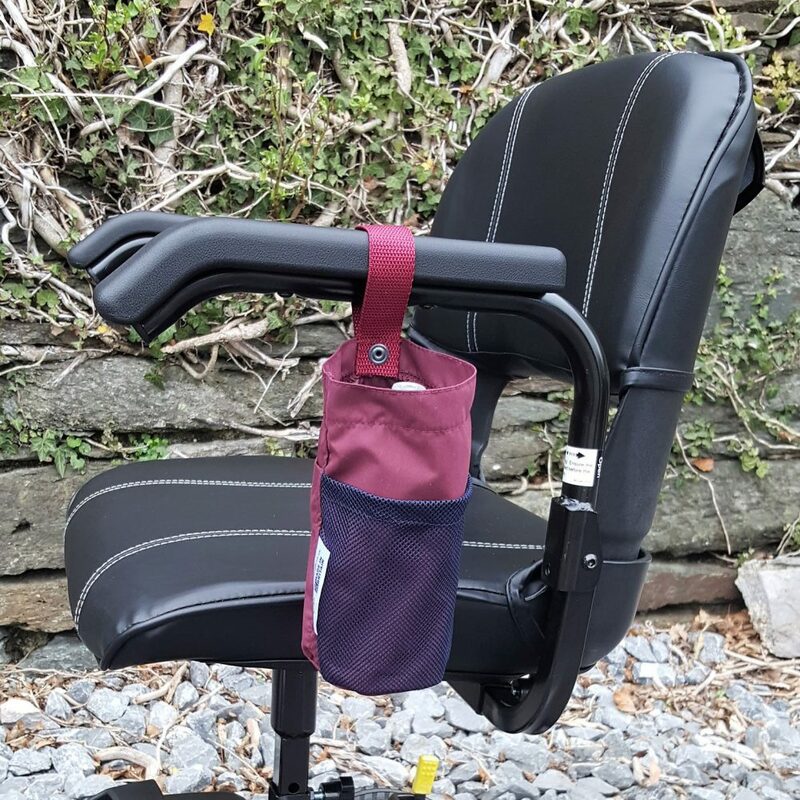 This bespoke Bottle Buddi is for anyone who uses a mobility scooter or wheelchair. 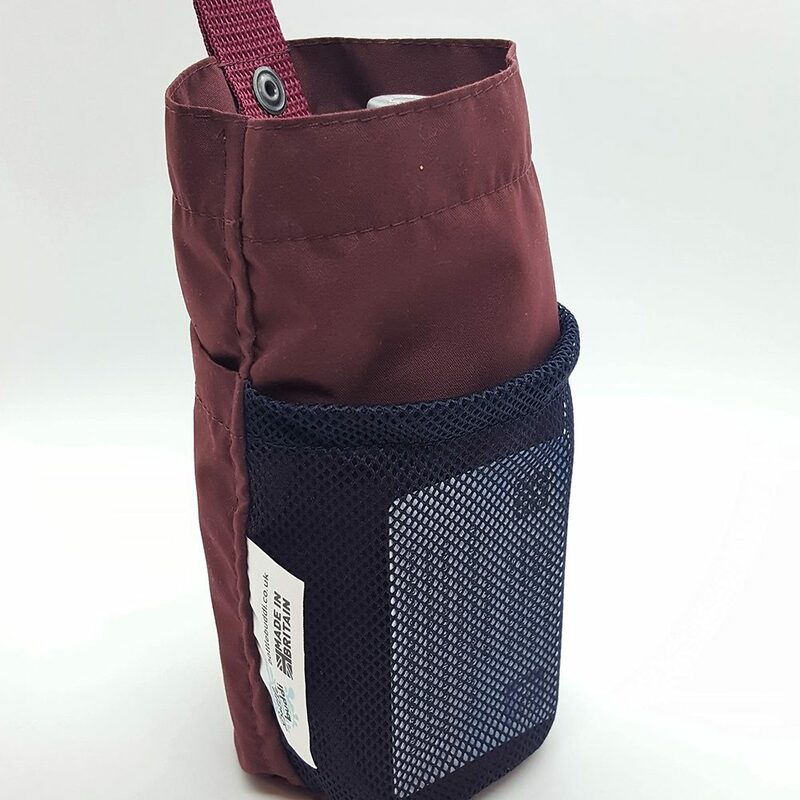 With an adjustable strap it will fit around any size handle or arm to give you direct access to your water bottle. 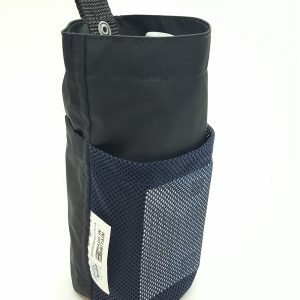 It also has an inside pocket for medication and a mesh pocket on the front to hold vital medical details. 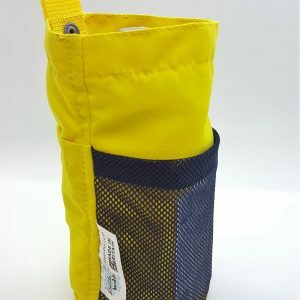 Made of 100% Polyester Microfibre with a polypropylene webbing strap, this durable product can be machine washed on a 40 degree setting. Dimension of opening 23.5cm in circumference and 18cm in height. *Bottle and extension strap not included. 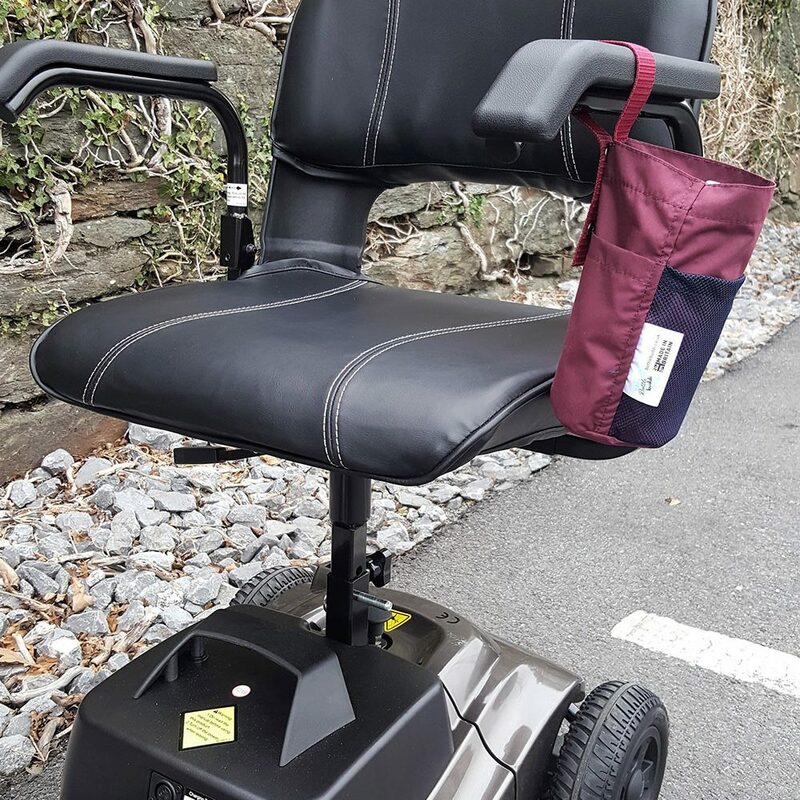 The new bespoke Bottle Buddi is designed specifically for anyone who uses a mobility scooter or wheelchair. 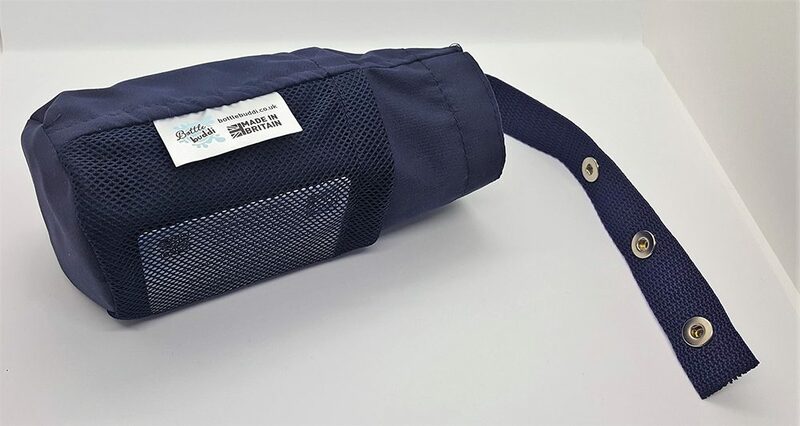 Attach to a school book bag, rucksack or use with an extension strap. 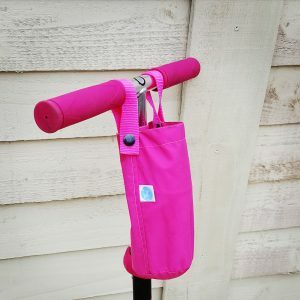 The latest accessory for Summer 2017… A Pink Bottle Buddi for the scooter and bike enthusiast! 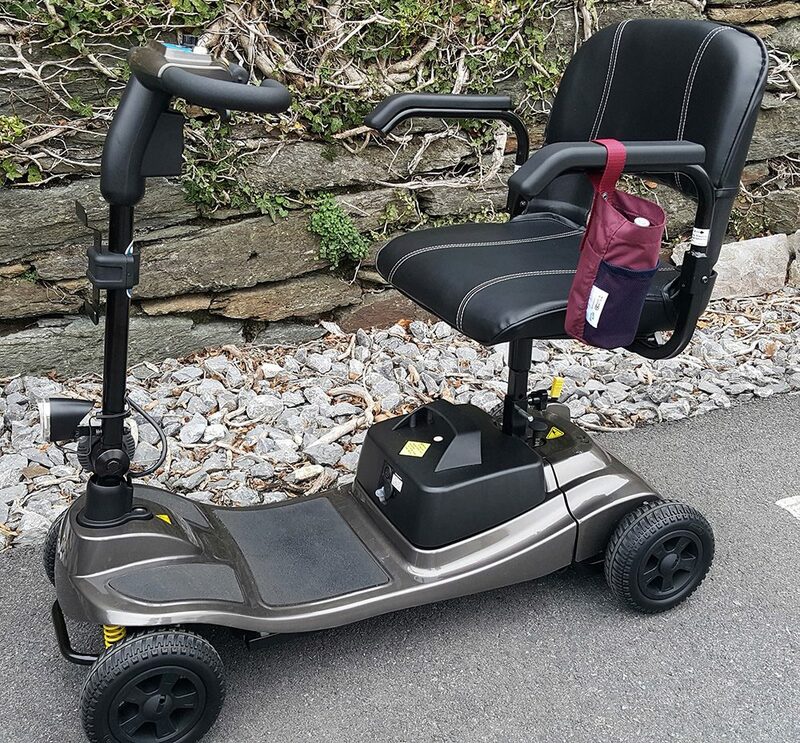 Scooter not included! 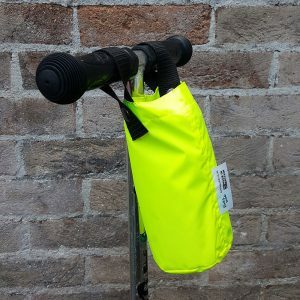 Also available in 8 other school approved colours. Great idea, wish I’d discovered these sooner! 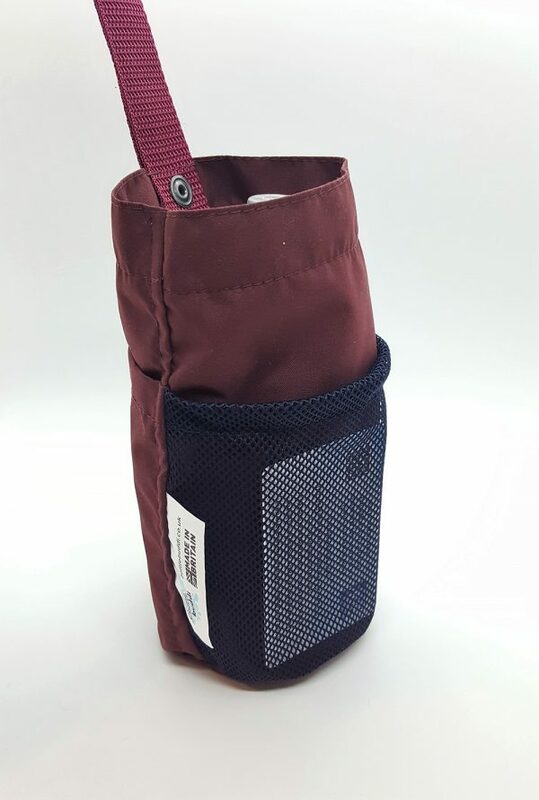 We would like to stay in touch with you and let you know about any new products or Bottle Buddi news, if you would like this then please sign up to our newsletter here.